Cassini spies a shadow cast by a vertically extended structure or object in the F ring in this image taken as Saturn approaches its August 2009 equinox. 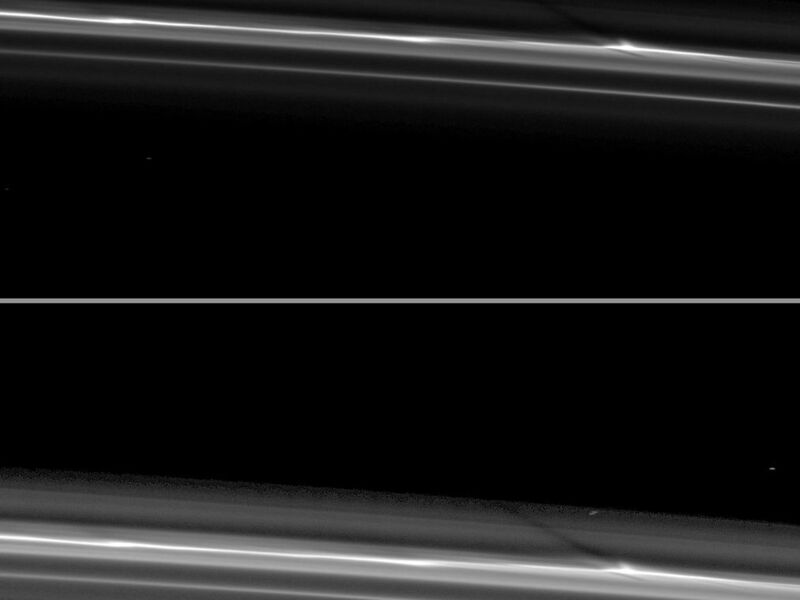 The structure can be seen as a bulge near the bright core of the ring on the right of the image. Imaging scientists are working to understand the origin of structures such as this one, but they think this image shows the shadow of what appears to be a vertically extended object in the core of the F ring. This image and others like it (see PIA11662) are only possible around the time of Saturn's equinox which occurs every half-Saturn-year (equivalent to about 15 Earth years). 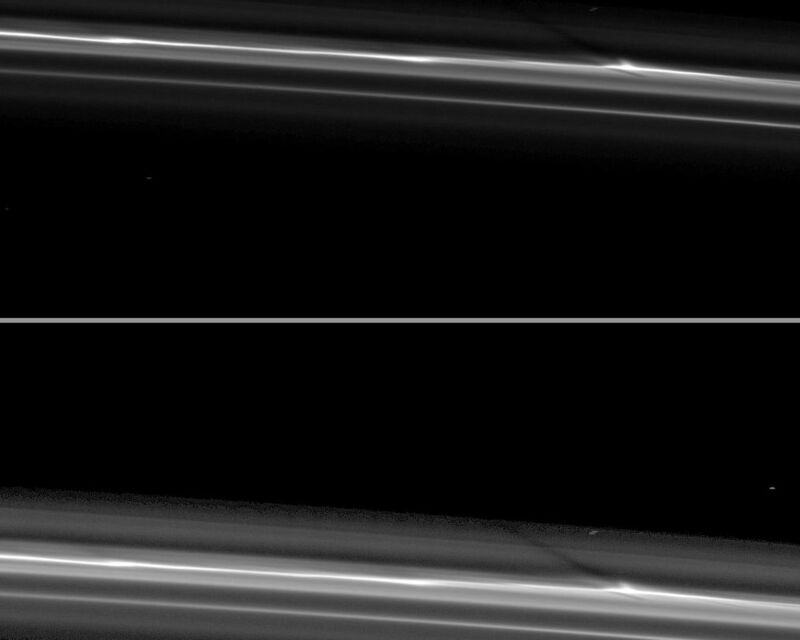 The illumination geometry that accompanies equinox lowers the sun's angle to the ring plane and causes out-of-plane structures to cast long shadows across the rings. 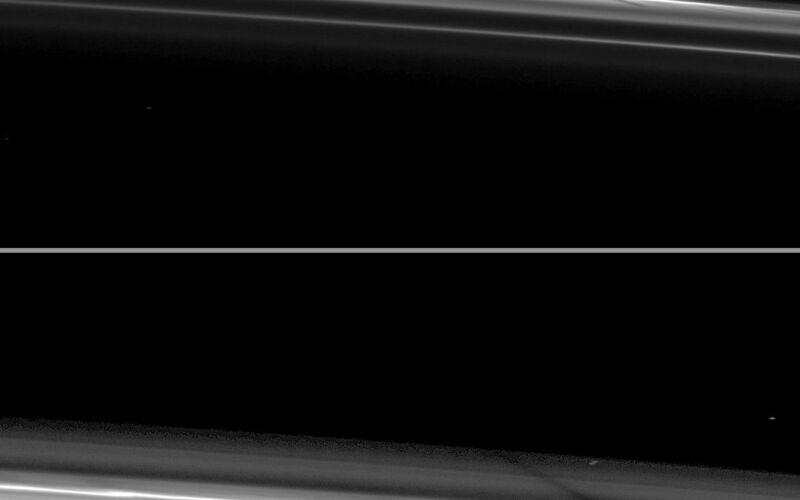 Cassini's cameras have spotted not only the predictable shadows of some of Saturn's moons (see PIA11657), but also the shadows of newly revealed vertical structures in the rings themselves (see PIA11654). 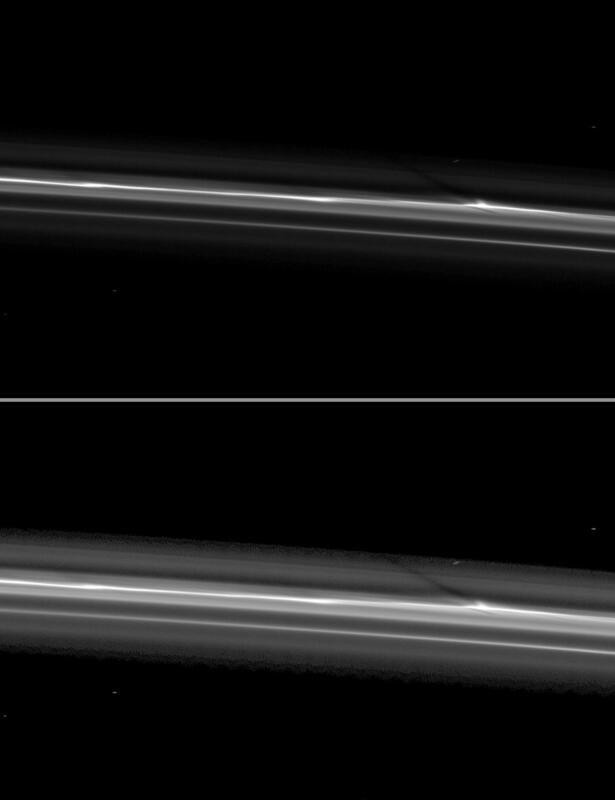 This view looks toward the sunlit side of the rings from about 54 degrees below the ring plane. The image was taken in visible light with the Cassini spacecraft narrow-angle camera on June 9, 2009. The view was obtained at a distance of approximately 592,000 kilometers (368,000 miles) from Saturn and at a Sun-Saturn-spacecraft, or phase, angle of 97 degrees. Image scale is 3 kilometers (2 miles) per pixel.